Anyone who takes their online betting even remotely seriously needs to have a Betfair betting account. It’s vital! The Betfair betting exchange was born in 2000 and it completely changed the online betting landscape. For the first time ever, regular punters could lay horses and teams to lose. They could play the bookie and take bets or using it do sports betting trading to earn money on price fluctuations. Betfair no longer advertise their Betfair free bets offers for new clients but Betfinder.co.uk does have this handy Betfair promo code which will give new customers 3 x £10 Betfair free bets when they place a first-time bet of £10 or more. To avail of this offer simply enter the Betfair free bet code ‘ZSK200′ in the promo-code area when opening your new account and make sure your first bet is on a selection priced 1/5 or greater. If you prefer enhanced betting odds for your first bet at Betfair simply go to their promotions page where there are always some outstanding prices on offer in high-profile sporting events. CLICK HERE TO CLAIM £100 OF BETFAIR FREE BETS! Despite being poorly funded Betfair burst onto the scene with a bang back in the year 2000. Naturally the online betting revolution was just dawning but the key to Betfair’s success was it ground-breaking ‘exchange’ model which, just like Futures Markets on the Stock Exchange, allowed people to ‘trade’ betting markets and play ‘layer’ as well as ‘backer’. There’s been plenty of water under Betfair’s bridge since it surfaced but the company is now bigger than ever. In 2012 Betfair launched a traditional sportsbook which saw customer numbers soar and, in February 2016, the company merged with Irish bookmaker Paddy Power. There are no shops on the High St. with the Betfair name over the door although the merger with Paddy Power may, in time, see that change. ‘Best Odds Guaranteed’ is standard at Betfair covering UK and Irish horseracing as well as selected dog races. ‘First Pass the Post’ is bulk standard too meaning any horse that is disqualified (UK & Ireland) by the stewards will still be paid out as a winner. 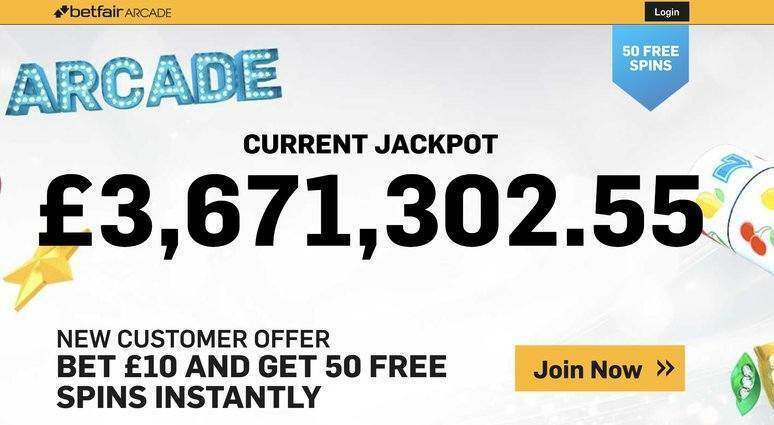 Betfair’s ‘Acca Edge’ is a unique accumulator insurance which returns cash to punters who have one leg let them down in any accumulative bet featuring three or more selections. It is available on all sports including ‘in-play’ and it does not require any more than four selections in an accumulator. However, this is not an enhancement or bonus more so an added function designed to make Betfair more attractive. No problems here – Betfair typically have 34 sports/specials on offer and there is a huge spread events within each one. In short Betfair probably boast the most comprehensive betting portfolio, featuring more individual markets, than any other online bookmaker. With Betfair Exchange introducing the concept of ‘lay bets’ unsurprisingly their relatively new online sportsbook site allows people to cash out. And that’s not the only advantage Betfair sports customers can enjoy as a result of its sister site. In addition to ‘Cash Out’ Betfair Sports have also developed ‘Price Rush’ which can give Betfair Sportsbook customers better odds than they have taken on singles bets. It does so by scanning their adjoining exchange and delivering a greater price if it is available there. Betfair’s Exchange does allow customers to place ‘trades’ via telephone but sadly their Sportsbook does not. Neither does the Sportsbook accept wagers by SMS meaning online is the only way to bet at Betfair. On the plus side their mobile offering is easy to use and is every part as wholesome as what PC using customers will be accustomed to. Unlike many Betfair make their ‘Live Chat’ easy to find and use. But telephone, email, tweets and even messaging via Facebook are promoted as ways to fire your questions to Customer Support. You can have several payment methods registered with your Betfair account and you do not need to withdraw winnings back to the card you made your latest deposit on. In addition to all major credit cards and bank transfers, Betfair also accept Paysafe, Neteller, PayPal and Skrill. The Betfair betting exchange allows you to take bets (or essentially bet something to lose) from other punters so it’s a very useful tool for hedging your bets and trading out your position. There is a superb number of markets offered at Betfair and plenty of ways to follow the action with live video, radio, blogs, reports and, for horseracing, Timeform previews. But the depth of bet types is a little disappointing with ‘winning margins’ and ‘jollies vs rags’ speciality bets missing. The lack of tele-betting, which may be waning in popularity but surely still has its place in modern day bookmaking, is another disappointment. But this remains a very easy to use and attractive sportsbook with plenty of attractive ‘New Customer Offers’. Furthermore Betfair can offer more betting value than most, and allied to the ability to ‘trade out’ bets at its sister Betfair Exchange, it represents an invaluable tool in any serious punters armoury. 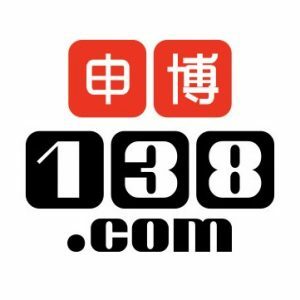 18+ New Customer offer. Place 5 x €10 or more bets to receive €20 in free bets. Repeat up to 5 times to receive maximum €100 bonus. Min odds 1/2 (1.5). Exchange bets excluded. T&Cs apply. (£0.20/spin) on Dragon’s Luck. You’ll find this offer in your Arcade promo hub after registration. This is a fantastic bonus with no wagering requirements required on the free spins. Yes, providing you are a new customer and registered using the promo code ARCFS1 One offer per customer. Duplicate accounts not permitted. £0.20/spin) on Dragon’s Luck. You’ll find this offer in your Arcade promo hub after registration. You can qualify on eligible slots featured from our All-Stars collection. Mayan Mystery, Mississippi Queen, Fruit Stack Deluxe, Rhino Rumble, Dragons Wild, Egyptian Wilds Jackpot, Thai Thai Jackpot, Wild Sheriff, Tumble Dwarf, Lucky Mine, Irish Clover, Bull Fight, Bomb The Jackpot, Sphinx Gold, Persian Glory, Lucky Cabaret, Golden Leprechaun, Ruby Walsh Champions Gold, Easter Money, Mr and Mrs Diamonds, Japanese Mystery, Money Night, Magic Fairies, Jousting Wilds, Golden Thunder, Fruit Stack Super Double Wild, Money Machine, Masquerade, Money Tower, Gem Blast, Gold’Erado, Trick or Treat, Lucky Wizard, Winter Wonders, Jingle Bells, Rainbow Jackpots, Gems Gone Wild, Persian Fortune, Lucky Halloween, Ancient Script, Golden Temple, Ocean Fortune, Lucky Valentine, Elven Magic. Totem Lightning, Wild Wild Chest, Blue Diamond, Five Star, Stage 888, Epic Journey, Dragon’s Luck, Three Kingdoms, Fortune House, Phoenix, Fortune Fest, Divine Ways, Magic Gate, Golden Offer, Golden Lotus, Chinese Treasures, Jade Charms, God of Wealth, Wild Fight, Mega Jade, Rocket Men, Lion Dance, Lucky Fortune Cat, Arcade Bomb, Ten Elements, Footy Frenzy, Sumo Spins, Skulls, Esqueleto Mariachi, Dragon’s Luck Power Reels, Laser Fruit, 100k Drop, Jester Spins, Wild Nords, Tiki Fruits. What are my free spins? Once you’ve played £10 on eligible slots and qualified for your free spins, you’ll be greeted with a message in-game which will prompt you to claim your spins and play Dragon’s Luck (if you’re not on that slot already). You will then be able to use your free spins accordingly. Once they finish you will receive a popup message informing you of this. The game will then default to normal gameplay where you will be using your own money. What is the stake value of my free spin? Each free spin will hold a value of £0 .20 per spin. Your free spins will expire 7 days after obtaining them, any winnings will be transferred to your main balance upon completion of the free spins. This offer is not valid in conjunction with any other offer and any wagering using free bets will not count towards the requirements of any other offer. 2. Wagering requirements for bonuses will apply to an account from the time a bonus is accepted and/or applied to an account.